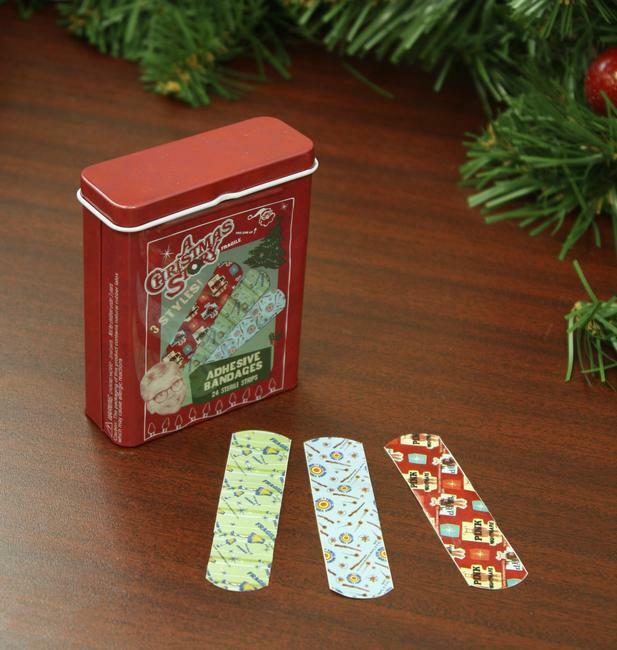 Laugh through the pain with these adhesive bandages from the holiday comedy classic, A Christmas Story! 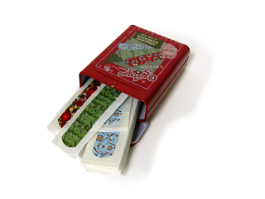 They come in a collectible tin container and feature absorbent, non-stick pads and long-lasting adhesive. Box contains 24 sterile bandages in 3 different styles: BB gun, Leg Lamp and Pink Bunny suit. Bandages measure 3×1″.